I provide individual, family, and group services to children, adolescents, and adults in both Washington State and California. I am an integrative psychotherapist, which means I use many elements from various different theoretical orientations. I believe in meeting you where you are, so I tailor interventions and techniques that suit your needs and desires. 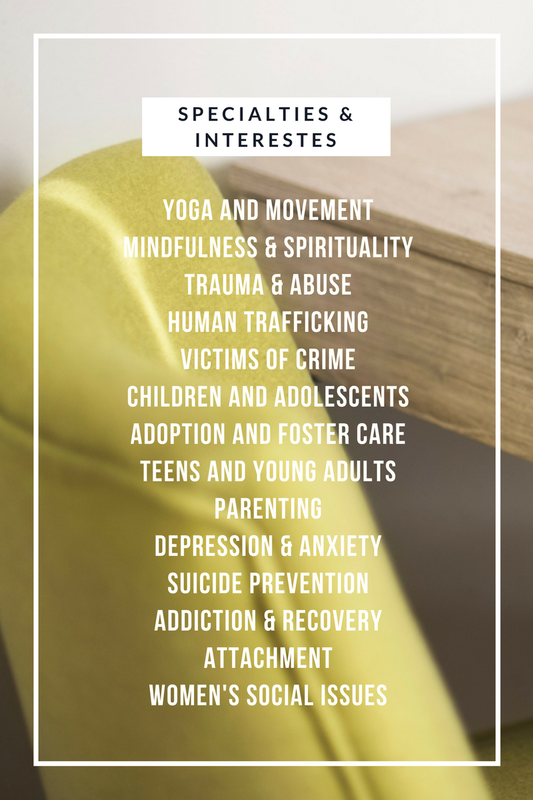 While I have extensive training in many different therapy modalities and interventions, I tend to gravitate towards Acceptance and Commitment Therapy (ACT) and Somatic Therapy, utilizing yoga, mindfulness, and breath work to assist you in gaining a deeper connection to their authentic self. I am now accepting new client's at my new office space in Seattle, WA (Fremont neighborhood). If you would like to work together, but you live in California, reach out to me to ask about tele therapy (phone and HIPAA compliant video conferencing) options.